Lot 399. ROMAN REPUBLIC. Q. Thermus M. f., 103 BC. 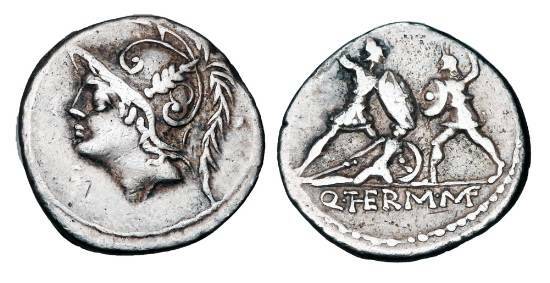 AR Denarius.